What's the Difference Between a Writer and a Content Marketer? And if you can’t find anyone … you need to look for another company! I don’t say that flippantly. Companies without G.A.S. don’t tend to last long. And even if they do, they’re no fun to work with. Editor’s note: The original version of this post was published on April 28, 2015. Absolutely. Hitting the nail on the head. Move the “Audience”- not the buyer”, that is a serious point, because we don’t know who the buyer cold be. Sometimes, writers tend to write to sell but in today’s world, buyers are smarter and the decision making journey is so different compared to the those days where you send a case study and they are ready to get convinced. “Have a spark” – True. Need to have the G.A.S , else organizations die. ( I actually went all the way to the article about G.A.S, to learn what it is.) You are 100% correct about this. The spark needs to be lit up and start sharing the light with others in the organization who also believe in the same, and spread the spark. I really enjoyed this article – you really got to the bottom of it – and you have a lovely friendly style of writing, makes reading it easier. Awesome! and BullsEye! Just can’t do without the tips/expert (is there a superlative for an expert 🙂 guidance mentioned here very basic but a backbone for one’s business or as an individual contributor. Thanks a ton Sonia Simone! 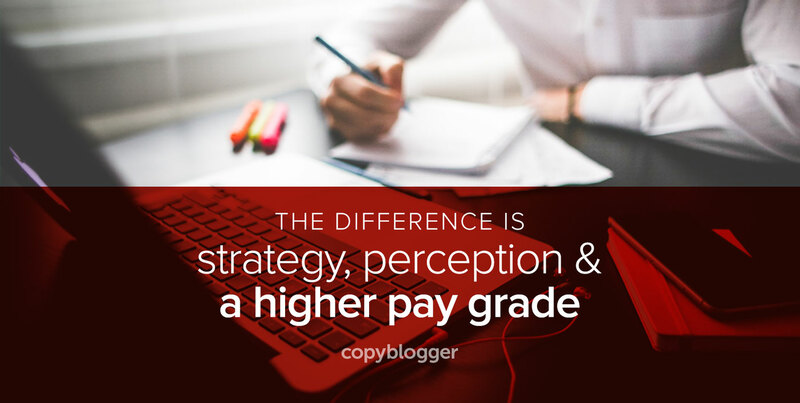 Always amazing to read Copyblogger…every word Counts! Really your post helps to know difference between professional writer vs content marketers. After reading your suggestion, I want to be a content marketer. That was epic. You know, once a lecturer told us that the ‘filmmaker’ makes a film with his mind and leaves the rest of the matter on the audience. So, it more or less depends on the audiences that how they perceive it. Similarly, Copyblogger does a similar job. In fact, goes one step ahead. Not only do I learn copywriting skills, but I also observe the way content marketing is being practised at Copyblogger. It’s phenomenal. I actually loved the way you, Sonia, crafted this blog post, injected the product, shaped the message, and delivered the value. It’s amazing. So glad to see that. I really like the first point about moving the audience. I think this is really relevant. I recently interviewed Darren Rowse on my Productive Insights Podcast in a two-part series and we talked about the “before” (they consume your content) audience avatar and “after” (they consumer content). He explained it very beautifully especially the part where he talked about taking people an attorney from the first page to the second. I also interviewed Joe Pulizzi (founder of the content marketing Institute) and he talked about creating content to meet customers where THEY are in their lives (as opposed to creating content around products). I thought this was extremely relevant too! Can’t wait to have you on my show as a guest Sonia Simone! I know we discussed this before and I’m sure you’ve been busy but I’m really keen to have you on because it truly would be an honor! I really enjoyed this article Sonia, I respect your comment about letting your artist side come out. As a professional artist I often struggle with words. I have been writing daily for over a year and I am finding it much easier and actually enjoyable. Your key points are great reminders of what an article must provide. Love the article Sonia, I am going to be sure to implement this advice in my writing right away. I really do appreciate it. Thank you for the post Sonia! I’ve generated more than $5 million worth of gross sales for our clients. It doesn’t have to be different. If you good at copy writing, you can sell more. If you good at content writing, you can grow your influence. Which means, both are husband and wife. They are meant for each other. Good tips. But I associate the term “professional writers” with authors of fiction and nonfiction. I think a better title would be The Difference Between Marketing Communications and Content Marketing. Always interesting to see the connotations we attach to various terms. The term marketing communications tends to be used more often (in my experience) within organizations — the freelancers I’ve worked with are more likely to identify as professional writers. You’re a great content marketer. Writers who market with their writing are content marketers. Is that right? Sure, this post is bookmarked, to be used as a guide. Simple, but probably the best definition of content marketing I have ever seen. I especially like the last sentence because at the end of the day it’s all about generating sales. Great food for thought today, thanks! I have enjoyed a lot your article. I wanted to be a content writer but couldn’t. Now I am trying to be a blogger. I think every blogger must have knowledge about content writing and content marketing skill. Because both are inter-related. Promoting the content is one of the tough yet simple if someone learn how it works! Article writers usually can not market and promote the content. They can only write great articles! Promotion and Marketing is another job and usually done by professional marketers! That’s one reason you can be a quite good article writer, but you may not have the complete tool set to be an effective content marketer. Good article writers do, however, know to ease up on the exclamation marks. Thanks for sharing a real difference between Content writer & marketer. Very useful post indeed. Today’s buyers are smarter than ever. So for a marketing content, it must be able to convince them, and not just a good piece. Thanks for sharing the tips to be a better content marketer. I would like to talk about another point. For me its important to say that content marketers love there topic with everything they have. Wonderful post as always Sonia. This really helps me improve my writing for thousands of people so I appreciate it very much. Sonia, thank you for sharing your insight and experience. Looking to stay on top of my game, always sharpening skills – this is what I needed today! I love number four. I’m not a content marketer by any stretch, but the writing I do to promote my site and blogs does take that same structure which I’m happy about! I’ve try and use metaphors more because I think they really help get the point across and if you can do that consistently and clearly, you’re surely onto a winner. Thanks Sonia. This is a great post that will help me improve my writing skills with easy. Kudos.